Get a six-piece aluminium non-stick cookware set. 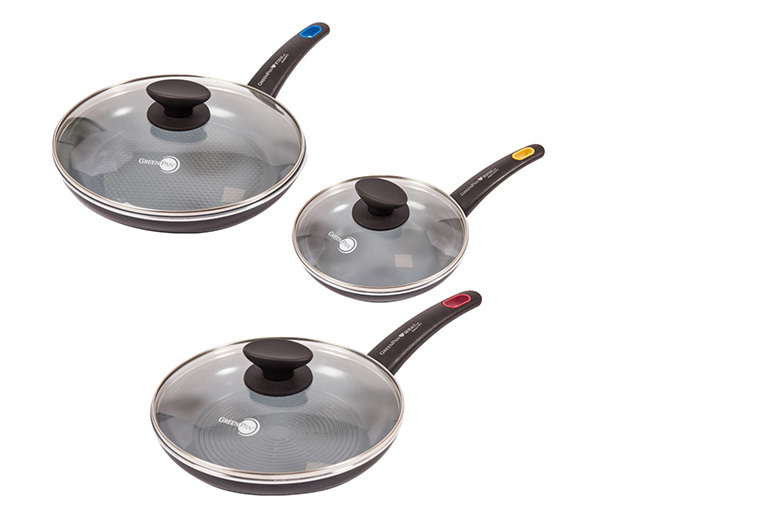 Set includes three frying pans of 20cm, 24cm and 26cm diameter. And three perfectly sized glass lids. Suited for gas, electric, ceramic, halogen, induction and oven. Suitable for dishwasher but hand-cleaning recommended for better results. Perfect and classic cookware to add to your kitchen.